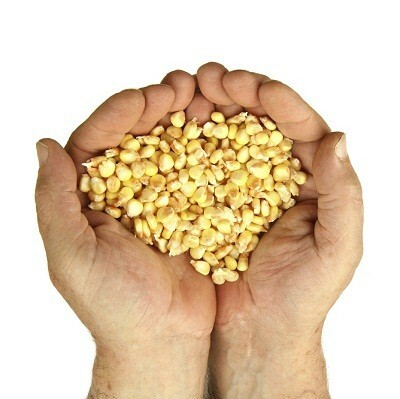 Corn Capital Innovations > Innovation Blog > General > Do You Know The Quality of the Seed You Are Planting? Do You Know The Quality of the Seed You Are Planting? Most farmers look at the bag label for the percentage of warm germination in the seed corn. By law, this has to be applied to each bag, but often it is not the most important number to know in relation to quality. The warm germination percentage is significant, however, we have found that cold germination, as well as purity are the actual numbers you need to look at to make better decisions, if and when, you are going to plant that specific variety. Seed quality alone can equate to 20-50 bushel differences on final yields. While the industry is not anxious for you to know these vigor results prior to purchasing a product, we feel you need to know everything you can if you are going to achieve your yield goals. Before you take possession of seed from us you can feel confident that we have run several tests through independent labs to make sure you are getting the highest quality seed available. Seed quality, both good and bad, is almost always correlated to the environment it came from, is placed in, or the process involved in procuring the product. Getting high quality seed to the farmers we work with is a variable that we can control. The processes that we go through to deliver the highest quality seed to farmers is just as important as the process we ask our growers to utilize when taking possession and planting the seed. When taking possession of the seed. We suggest that you place the seed in an environment that is void of temperature fluctuations, free of moisture, rodents, and pests. The rule of 100 applies to this. (60 degrees + 40% humidity) High temperatures and high humidity can lead to decreased germination and seedling vigor in only a few short months. We recommend using belts versus air systems, to deliver your seed to the planter. Air systems tend to cause more mechanical damage due to the seed/steel contact while traveling through the tube. We advise waiting to plant until soil conditions are conducive to top yields. If soil conditions are too wet or dry, loose, lumpy, or in any way less than perfect, it can detract from the seed’s ability to emerge at optimum speed with optimum health. We suggest planting at 3.8 – 4.2 MPH and at a depth of 2 – 2-1/4” depth. This will protect the seedling from unwarranted temperature fluctuation and to have all plants emerge within 24 to 36 hours of each other. The slower you plant, the more consistent and even emerging stand you will have. Placing the right variety on the right piece of ground is something that we can design into your crop plan. It’s not just about picking the right genetics; it’s about matching the right germplasms to the right field as 75% of all varieties never preform to their potential because they are planted on the wrong piece of ground. Being successful completely depends on the quality of everything you do. From the products you use to the way they are managed, all performance can be traced back to quality. I encourage you to take a look at your operation specific to quality and ask yourself; are you controlling your quality? What steps or processes can you change to raise you level of quality from within? Contact us to work with you to answer these questions, we would be so glad to offer any assistance!